Lt. Cmdr. 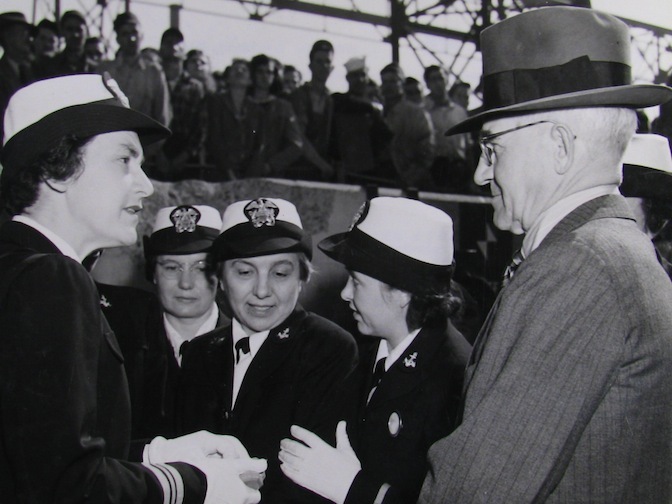 Mildred H. McAfee, USNR, Director of the Women’s Reserve, is at the Newport News Shipbuilding and Dry dock for the christening of the USS Franklin in October 1943. She’s receiving a gift for her participation. The photo comes from the National Archives.